Letter from Nira Lee, recipient for study at the University of Haifa’s Honors Program in Peace and Conflict Resolution. 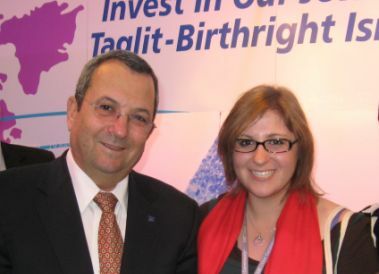 Ehud Barak becomes one of the first people to officially congratulate HBR recipient Nira Lee on her decision to make aliyah. At the UJC General Assembly in Jerusalem in November. As I expected, my year in Israel thus far has been nothing short of life altering. There have been too many wonderful times to count, and as is the case right now, some harder times as well. Over the past few weeks, I have watched as nearly all of my close Israeli friends, either standing soldiers or reservists, leave for the war. As I had mentioned in my application essay, I had begun to consider making Aliyah after volunteering in Israel exactly one year ago. Today, this decision is no longer in question. In August I will return to American University to finish my degree and graduate in December. After spending several months visiting relatives around the US, I will be returning to Israel. Although I will be just past the age limit for compulsory service, I will be drafted into the IDF, where I hope to use my international relations degree to help present the critical work that Tzahal does to the rest of the world. I emphasize that this decision has not been made in haste. While the current war in Gaza has made my resolve stronger, my decision was made well before the war–during Sukkot. Although I had a blast during Ulpan, improved my Hebrew, and even traveled to Turkey, I had had very little interaction with native Israelis. During Sukkot, had the incredible opportunity to join an Israeli student volunteer initiative up north. As one of seven Americans among 493 Israelis, I was able to take my goal of integration to a whole new level. I left the four-day project with a renewed faith in this generation of young Israelis, and with some of the best friends that I have ever had. Riding on the bus away from the program, I realized that this was the society I was meant to belong to. There are wonderful activities at Haifa. We had a great election party. Almost 200 people—international, Arab, and Israelis stayed awake all night waiting for results. We have regular movies, lectures, cooking nights, and once a month there is a big hike to a different region of Israel. We tutor Navy soldiers in English, and even teach English to Ethiopian Children in Kiryat Chaim. I really have never been this happy in my life. I returned this evening from vacation to Spain with my family. Aside from the guilt I felt vacationing in Europe while many of my friends are currently vacationing as soldiers in Gaza, this trip was more horrifying than relaxing. I have encountered plenty of anti-Israel sentiment, but I was not prepared for what I met in Spain. After buying a scarf from a local vendor–a smiley boy around 18 years old– and answering that my accented Spanish came from the US, he volunteered, “Thank goodness you guys elected Obama–H’ell stop those Israeli Pigs from killing innocent Palestinian babies. I want to kill all the Israelis”. We saw graffiti screaming, “Muerte a Israel! Death to Israel” on every wall. We could not get to our hotel as we were blocked by thousands of Kafiyyeh wearing demonstrators screaming death to the Jews. I got a frantic call from a close friend from Ulpan. Although he plans on making Aliyah and serving in the army, he is finishing his studies in his native Greece. His own friends refuse to speak to him. Instead, they scream foul language and both anti-Israel and anti-Semitic slurs in his direction. He attributes his being alive to his not wearing his tzitzit and kippah in public. I understand more than ever that Israel must fight for itself, often, by itself. While I am firmly believe that Aliyah should never be something obligatory for all Jews, I feel today more than ever that the future of the safety of the Jewish people–the reason another Holocaust cannot succeed–is Israel. And I will be there fighting for our homeland. What makes Israel Israel is that everyone will offer you a place to stay. That the Russian-only-speaking parents a new friend of mine have invited me to stay with them, as their son fights in Gaza. That my father’s non-English speaking best friend sat me down, told me I’m his daughter now, and in response to learning about my enlistment—brought out all of his decorations from a military career spanning 32 years and four major wars. He told me that I too will fight many wars, but I will never be alone. What makes Israel Israel is how every time someone hears my story, my plans to enlist, and especially that I have no family here—from the woman at the bus stop or a soldier at the university—they treat me not as a guest, but as part of their family. I have invitations for weekends and holidays sometimes before names have even been exchanged. And most of all, what makes Israel Israel is the more than 9,000 residents of central Israel who have volunteered to take in strangers from the south and house entire families to give them relief from this pressure cooker we are all living in. And this is what we all fight for every day. With no exaggeration, I am writing to express to you my unending gratitude.  By financially enabling me to spend this year in Israel, you have helped to create a passionate Zionist, but also a literal fighter for Israel.